When you think of destination weddings, perhaps you picture a barefoot couple standing on the beach of a tropical island with palm trees swaying in the background? Are you drawn to something different, though – something more modern, metropolitan and unique? A fairytale wedding in Montreal may be exactly what you are looking for! 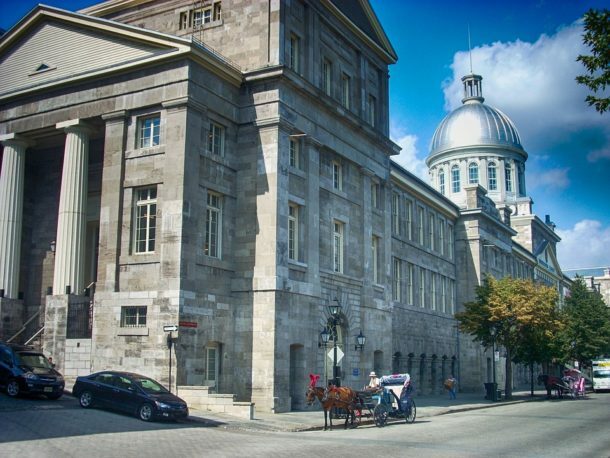 Montreal is a delicious contradiction, mixing the best of 18th Century architecture alongside truly modern design. It is a walking city, where two languages, French and English, are spoken by most residents and where your experience can be completely different simply depending on which neighborhood you happen to tour on any given day. Whether you are searching for an elegant ballroom with crystal chandeliers, or a dinner cruise down the St. Lawrence River on a private yacht, Montreal has the perfect site for you. The list of Montreal wedding venues reflects the city’s diversity, and includes historic manors with manicured outdoor expanses of emerald green lawn, exclusive country clubs – the playgrounds of celebrities with their breathtaking water views, contemporary restaurants and grand hotels. Hold an intimate wedding in an art gallery or a romantic gathering in an Art Deco supper club. Boutique hotels built in the style of old chateaux or historic theaters and cabarets offer creative spaces for couples wanting unique venues in Montreal from which to choose. Hold one event in a sleek and modern urban loft, and another in a restored building with exposed brick walls. We will consult with you, helping you identify those details that best tell your love story and prioritize what is most important to you about your destination wedding experience. Our Montreal wedding planners will create and refine a design concept to ensure that all of your events, from you welcome dinner to your farewell brunch are cohesive, leading your guests on a personal wedding journey and creating lifelong memories. You don’t need a beach or palm trees to have a fairytale destination wedding! If your story would best be told in a captivating North American European-style city with one foot in a colorful past and the other firmly planted in the modern day, a dream wedding in Montreal would be absolutely perfect for you.